Milestales provides training sessions, performances, and enrichment programs to schools, universities, and corporations by leveraging a network of speakers, thought leaders, artists, and edutainers. On any given day, Milestales partners may provide a wealth coaching session to a group of elementary school principals, a diversity training to corporate executives, and drumming lessons to middle school students. Our clients include Marubeni Corporation, State University of New York, and The Department of Education of New York City. Below, you will find the biographies of just a few of the Milestales partners who are out in the world creating phenomenal change through education and the arts. Hasan Bakr was born in Savannah, Georgia. Hasan Bakr found his first musical expression in the tonal arts of the drum. Later, he expanded this exploration to incorporate voice and the mbira. Bakr has a strong rhythmic approach to sound blending music from all parts of the world to create his uniquely contemporary sound. Bakr's musical education was essentially in the traditions of the master and student. 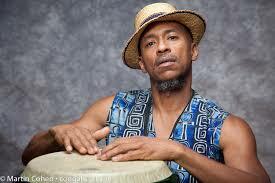 He studied with Baba Feami Akinlana on conga, and Chief Bey on shekere. In 1984 he did an apprenticeship with Nana Vasconcelos to study the berimbau and body percussion. Hasan's most recent concentration has been the timbales with the legendary Little Ray Romero. Hasan Bakr is a founding member of the Spirit Ensemble, a group who pioneered the use of the mbira on the East Coast of North America. This association of kindred spirits has become the creative environment for Hasan to mature as a composer. As a result, he has produced a number of performance works which range from dance to the media arts. The Spirit ensemble is now known as the Heritage Ensemble. Dr. Linda Michelle Baron was born in Queens, New York. She is a former New York City public school teacher. She earned her Master’s Degree in Reading and her Doctorate in Cross Categorical Studies from Columbia University’s Teachers College. Currently on sabbatical, she is an Assistant Professor in the Teacher Education Department at York College, City University of New York (CUNY), in New York City. She teaches undergraduate courses in educational psychology; classroom evaluation and assessment; content area literacy, and human development. Her academic journal articles, book chapters, and professional development courses focus on literacy, the social and emotional intelligences, and culturally responsive pedagogy. As an author and poet, Lindamichellebaron's (her pen name) books include:The Sun Is On (listed as a recommended book for New York State middle schools), Rhythm & Dues, and For the Love of Life. The innovative Poetry & Ideas book series, published by Harlin Jacque Publications, is Lindamichellebaron’s written invitation to international audiences. She invites all to become empowered, achieve, grow, resolve conflicts, love themselves, and love others. Her “idea” books support her creative messages and provide self-reflective “how to” activity guides for life and learning. They include writing exercises that support goal achievement and higher order thinking strategies. Dr. Baron is a motivational speaker and consultant who speaks before a wide variety of audiences at colleges, conferences, corporations and other organizations including public school systems, to share her positive approaches to both academic achievement and personal growth. She artfully weaves a wide range of instructional and inspirational styles that create interactive experiences for adults and children of all ages. She has received numerous awards as educator, literary exemplar, such as as "Outstanding Educator Award" from the Middle School Principals Association of New York City; “25 Influential Black Women" in Business by The Network Journal, and hometown village of Hempstead, has honored her with the official designation of Village Griot (storyteller). Actress Christine Dixon has been a Harriet Tubman impersonator for over a decade. The one-woman show, Harriet Herself, was written specifically for Ms. Dixon by Hollywood theater critic, Morna Murphy Martell. Ms. Dixon has played the role of Harriet Tubman 450 times and has received 450 standing ovations. The show is currently booked in Canada, Haiti, Kenya, Timbuktu, Ghana, and Zimbabwe. Dixon is the first recipient of the Harriet Tubman Legacy Award. Ms. Dixon portrayed Harriet Tubman in the film Era, which is written by Delaina Waldron. Dixon currently portrays a police officer on the CBS drama, Instinct. 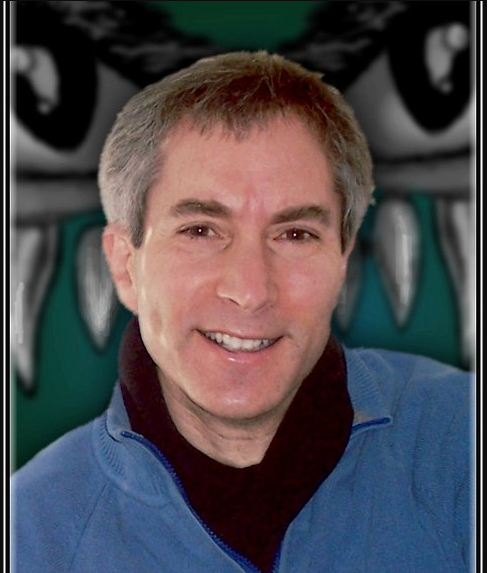 Award-winning author/illustrator Jason Edwards is an educator, storyteller, artist, and producer of educational enrichment programs with over 30 years of experience developing innovative ways to entertain, instruct, and inspire children. ​Jason’s books have been honored with the Mom’s Choice Award for Family-Friendly Media, the LitPick Top Choice Award, an endorsement from the Anxiety Disorders Association of America, and showcased on the Children’s Book Council’s reading list. His Inter Active enrichment programs have earned accolades at over 100 schools, libraries, and reading festivals across the nation. Ruby Frazier is a pioneer with respect to creative and unique approaches to teaching and learning. She created the program Drama for Success that focuses on using the arts to differentiate instruction and integrate learning strategies into the educational curriculum. Drama For Success provides a series of customized workshops that teach students reading strategies, conflict resolution skills, character development, and professional development workshops for teachers, parents, and education administrators. After the staff meets with the teachers the workshops lessons are custom designed to meet the student and teacher needs. This innovative approach to teaching conflict resolution, character building, and reading comprehension skills through the art of drama enables students to learn in a fun, safe environment, and because the company uses research-based instructional strategies, struggling learners test scores and social behaviors will also improve. Ms. Frazier worked for over 15 years with the Department of Education as a teacher, coach and mentor for new teachers. She remains committed to making a huge impact in the educational field and she committed and passionate about creating enrichment programs that leads to supporting schools in closing the wide student achievement gap. She is currently an adjunct professor at Empire State College where she creates the curriculum and lesson plans for the college and teaches adult students educational courses. Some of the curriculums she has created and taught are Theories in Learning, Play and the Emergent Learner, Human Behavior, and Leadership Skills. 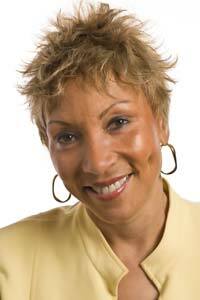 Dr. Linda Humes is a lecturer in the Africana Studies Department at John Jay College in New York City. Her areas of research is African American storytelling and culturally responsive education. She attained her Bachelor's of Arts in Social Science and Africana Studies from SUNY Stony Brook, her Master's of Arts in Administration from New York University, and her Doctorate in Executive Leadership from St. John Fisher College. Dr. Humes is the founder of Yaffa Cultural Arts Inc. The Honorable Robert Jackson presented Yaffa with a 2007 Citation for Excellence in Arts and Education, from the New York City Council. Yaffa CAI celebrated 16 years of service in 2009. Dr. Humes is a storyteller and folklorist who performs and conducts workshops nationally and internationally. She started her storytelling career in 1989, through the mentorship of Dr. Emeritus Mary Umolo Sanders at Medgar Evers College. Ms. Humes is a board member of The Storytelling Center of New York. 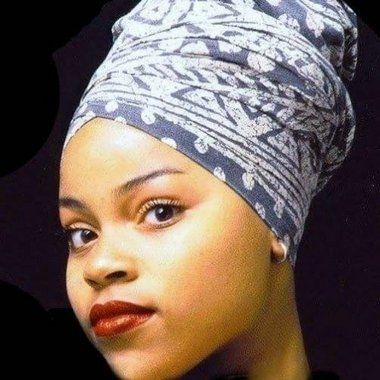 Her CD, Kwanzaa- A Time to Celebrate received the 1999 Silver Parents Choice Award. Her latest CD, On the Shoulders of Our Ancestors is meeting rave reviews. Dr. Humes has a theatrical background which includes being the Entertainment Reporter on PM Magazine. She has been in a variety of commercials and films. Most recently she played a reporter on an episode of Law & Order. Sherri challenges one to move beyond the bounds of the mind and expand into an empowering experience of authenticity and self-realization. Practicing breath, movement, and self- reflection; using an array of tools, Sherri’s intention and expertise lies in her ability to lead students on a healing, transformational journey – body, mind, and soul. Her mission is to build a community and provide a safe space where students can grow, flourish, and change while gaining peace, calmness and balance mentally, physically; emotionally. Nestor Martinez is a Colombian Native who has been a vocalist since the age of 9. He has studied music at Five Towns College and with several vocal coaches growing up. He has been a professional singer for fifteen years and has sung for Carnival Cruise Lines. Additionally, he has done traveling theater, participated in many vocal competitions, and appeared in MTV 3 making the band for Menudo. When teaching music to children, he ensures that students are using correct breathing technique and vowels pronunciation to have a forward resonant sound but most importantly through this technique, they find their own sound and apply to their own style of singing. DJ SLICE, born Chris Cresci, has been playing music for all different types of crowds in the tri-state area since 2005. Born and raised in Queens, NY, Chris has been exposed to a great number of cultures and ethnicities. Victor Zayas has been in the financial services industry for over twelve years and has helped thousands of families achieve financial peace of mind and freedom. Victor manages several offices in Manhattan and on Long Island where he trains qualified entrepreneurs who want the opportunity to learn the financial services industry so that they can make a positive impact on their communities. Wealth accumulation is not reserved for the rich, the same tools and concepts can be applied by anyone. His mission of "no family left behind" consists of educating families on topics such as the six steps to financial independence, as well as more advanced strategies to help families protect and grow their money for future generations.